W. Barg Department of Physiology, Wroclaw Medical University, T. Chalubinskiego 10, 50-368 Wroclaw, Poland. Keywords: metabolomics, metabolome, breast cancer, lung cancer. Background. Metabolomics is a relatively new diagnostic tool that allows a deep insight into the body metabolism at a cellular level. Objective. This paper provides a comprehensive view into the metabolomic methodology and shows usefulness of this approach in diagnosing and stratifying lung and breast cancers. Methods. Literature review of metabolomics studies and its clinical application in the diagnosis of cancer-selected studies. Results. In general, the metabolomic approach comprises three steps: 1) sampling and preparing biofluids or tissue homogenates, 2) identification of low-molecular weight compounds up to 1.0 kDa using nuclear magnetic resonance, mostly 1H-NMR and/or mass spectrometry, and finally 3) data processing and analysing. It is possible to identify a set of metabolites which is specific for a certain metabolic status (the metabolic fingerprint). Furthermore, this set of metabolites provides information of possible pathomechanisms involved in the disease process i.e. information about the disease etiology. It has been proven that the change in metabolome precedes other biomarkers of the disease; not only clinical symptoms but other laboratory findings as well. Consequently, this approach, if sufficiently validated, seems to be very promising especially in screening and early diagnosing. Conclusions. It was demonstrated that metabolomic approach allows to discriminate patients with cancer from healthy persons, as well as to differentiate between clinical stages of the cancer. W. Barg, Department of Physiology, Wroclaw Medical University, T. Chalubinskiego 10, 50-368 Wroclaw, Poland. Barding GA, Salditos R, Larive CK. Quantitative NMR for bioanalysis and metabolomics. Analytical and bioanalytical chemistry. 2012 Sep 1;404(4):1165-79. Kettaneh N, Berglund A, Wold S. PCA and PLS with very large data sets. Computational Statistics & Data Analysis. 2005 Jan 1;48(1):69–85. Deja S, Porebska I, Kowal A, Zabek A, Barg W, Pawelczyk K, Stanimirova I, Daszykowski M, Kor­zeniewska A, Jankowska R, Mlynarz P. Metabolomics provide new insights on lung cancer staging and discrimination from chronic obstructive pulmonary disease. Journal of Pharmaceutical and Biomedical Analysis. 2014 Nov 1;100:369-80. Musharraf SG, Mazhar S, Choudhary MI, Rizi N. Plasma metabolite profiling and chemometric analyses of lung cancer along with three controls through gas chromatography-mass spectrometry. Scientific Reports. 2015 Feb 25;5:8607. Zhang X, Zhu X, Wang C, Zhang H, Cai Z. Non-targeted and targeted metabolomics approaches to diagnosing lung cancer and predicting patient prognosis. Oncotarget. 2016 Sep 27;7(39):63437-48. Hori S, Nishiumi S, Kobayashi K, Shinohara M, Hatakeyama Y, Kotani Y, Hatano N, Maniwa Y, Nishio W, Bamba T, Fukusaki E. A metabolomic approach to lung cancer. Lung Cancer. 2011 Nov 1;74(2):284-92. Klupczynska A, Dereziński P, Garrett TJ, Rubio VY, Dyszkiewicz W, Kasprzyk M, Kokot ZJ. Study of early stage non-small-cell lung cancer using Orbitrap-based global serum metabolomics. Journal of Cancer Research and Clinical Oncology. 2017 Apr 1;143(4):649-59. Carrola J, Rocha CM, Barros AS, Gil AM, Goodfellow BJ, Carreira IM, Bernardo J, Gomes A, Sousa V, Carvalho L, Duarte IF. Metabolic signatures of lung cancer in biofluids: NMR-based metabonomics of urine. Journal of Proteome Research. 2010 Nov 23;10(1):221-30. Mathé EA, Patterson AD, Haznadar M, Manna SK, Krausz KW, Bowman ED, Shields PG, Idle JR, Smith PB, Anami K, Kazandjian DG. Noninvasive urinary metabolomic profiling identifies diagnostic and prognostic markers in lung cancer. Cancer Research. 2014 Apr;74(12):3259-70. Peralbo-Molina A, Calderón-Santiago M, Priego-Capote F, Jurado-Gámez B, de Castro ML. Identification of metabolomics panels for potential lung cancer screening by analysis of exhaled breath condensate. Journal of breath research. 2016 Mar 23;10(2):026002. López-Sánchez LM, Jurado-Gámez B, Feu-Collado N, Valverde A, Cañas A, Fernández-Rueda JL, Aranda E, Rodríguez-Ariza A. Exhaled breath condensate biomarkers for the early diagnosis of lung cancer using proteomics. American Journal of Physiology-Lung Cellular and Molecular Physiology. 2017 Jun 15;313(4):L664-76. Calderón-Santiago M, Priego-Capote F, Turck N, Robin X, Jurado-Gámez B, Sanchez JC, De Castro MD. Human sweat metabolomics for lung cancer screening. Analytical and Bioanalytical Chemistry. 2015 Jul 1;407(18):5381-92. Shen J, Ye Y, Chang DW, Huang M, Heymach JV, Roth JA, Wu X, Zhao H. Circulating metabolite profiles to predict overall survival in advanced non-small cell lung cancer patients receiving first-line chemotherapy. Lung Cancer. 2017 Dec 1;114:70-8. Yu L, Li K, Zhang X. Next-generation metabolomics in lung cancer diagnosis, treatment and precision medicine: mini review. Oncotarget. 2017 Dec 29;8(70):115774-86. Zhang AH, Sun H, Qiu S, Wang XJ. Metabolomics in noninvasive breast cancer. Clinica Chimica Acta. 2013 Sep 23;424:3-7. Senkus E, Kyriakides S, Ohno S, Penault-Llorca F, Poortmans P, Rutgers E, Zackrisson S, Cardoso F. Primary breast cancer: ESMO Clinical Practice Guidelines for diagnosis, treatment and follow-up. Annals of Oncology. 2015 Sep 1;26(suppl_5):v8-30. Asiago VM, Alvarado LZ, Shanaiah N, Gowda GN, Owusu-Sarfo K, Ballas RA, Raftery D. Early detection of recurrent breast cancer using metabolite profiling. Cancer Research. 2010 Nov 1;70(21):8309-18. Jobard E, Pontoizeau C, Blaise BJ, Bachelot T, Elena-Herrmann B, Trédan O. A serum nuclear magnetic resonance-based metabolomic signature of advanced metastatic human breast cancer. Cancer Letters. 2014 Feb 1;343(1):33-41. Kim Y, Koo I, Jung BH, Chung BC, Lee D. Multivariate classification of urine metabolome profiles for breast cancer diagnosis. InBMC bio­informatics 2010 Apr (Vol. 11, No. 2, p. S4). BioMed Central. 2010;11(2):4. Poschke I, Mao Y, Kiessling R, de Boniface J. Tumor-dependent increase of serum amino acid levels in breast cancer patients has diagnostic potential and correlates with molecular tumor subtypes. 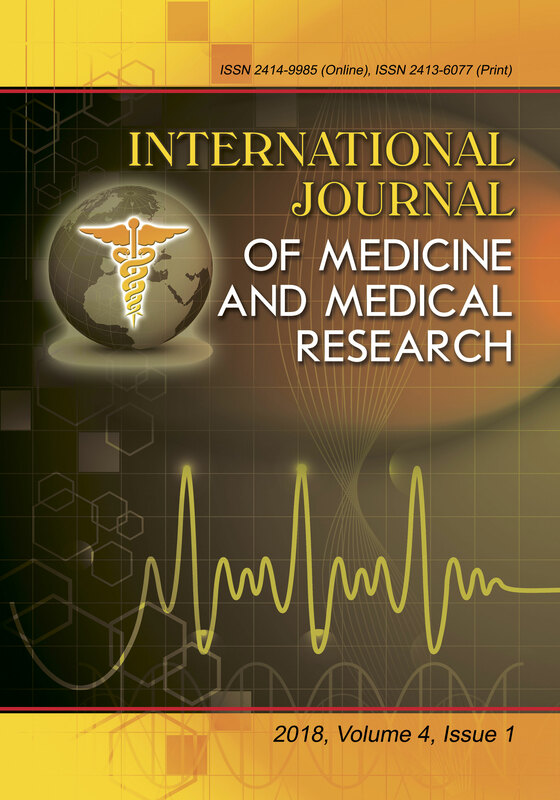 Journal of Translational Medicine. 2013 Dec;11(1):290–298. Lv W, Yang T. Identification of possible biomarkers for breast cancer from free fatty acid profiles determined by GC–MS and multivariate statistical analysis. Clinical Biochemistry. 2012 Jan 1;45(1-2):127-33. Hadi NI, Jamal Q, Iqbal A, Shaikh F, Somroo S, Musharraf SG. Serum Metabolomic Profiles for Breast Cancer Diagnosis, Grading and Staging by Gas Chromatography-Mass Spectrometry. Scientific Reports. 2017 May 11;7(1):1715. Shen J, Yan L, Liu S, Ambrosone CB, Zhao H. Plasma metabolomic profiles in breast cancer patients and healthy controls: by race and tumor receptor subtypes. Translational Oncology. 2013 Dec 1;6(6):757-65. Trivedi DK, Hollywood KA, Goodacre R. Metabolomics for the masses: The future of metabolomics in a personalized world. New horizons in translational medicine. 2017 Mar 1;3(6):294–305. van Rijswijk M, Beirnaert C, Caron C, Cascante M, Dominguez V, Dunn WB, Ebbels TM, Giacomoni F, Gonzalez-Beltran A, Hankemeier T, Haug K. The future of metabolomics in ELIXIR. F1000Research. 2017;6. Chae EY, Shin HJ, Kim S, Baek HM, Yoon D, Kim S, Shim YE, Kim HH, Cha JH, Choi WJ, Lee JH. The role of high-resolution magic angle spinning 1H nuclear magnetic resonance spectroscopy for predicting the invasive component in patients with ductal carcinoma in situ diagnosed on preoperative biopsy. PloS one. 2016 Aug 25;11(8):e0161038. Rakha EA, Chan S. Metastatic triple-negative breast cancer. Clinical Oncology. 2011 Nov 1;23(9):587–600. Silva CL, Passos M, Câmara JS. Solid phase microextraction, mass spectrometry and meta­bo­lomic approaches for detection of potential urinary cancer biomarkers–a powerful strategy for breast cancer diagnosis. Talanta. 2012 Jan 30;89:360-8. Bro R, Kamstrup-Nielsen MH, Engelsen SB, Savorani F, Rasmussen MA, Hansen L, Olsen A, Tjonneland A, Dragsted LO. Forecasting individual breast cancer risk using plasma metabolomics and biocontours. Metabolomics. 2015 Oct 1;11(5):1376-80. Playdon MC, Ziegler RG, Sampson JN, Stolzenberg-Solomon R, Thompson HJ, Irwin ML, Mayne ST, Hoover RN, Moore SC. Nutritional metabolomics and breast cancer risk in a prospective study. The American Journal of Clinical Nutrition. 2017 Jun 28;106(2):637-49. Yu L, Jiang C, Huang S, Gong X, Wang S, Shen P. Analysis of urinary metabolites for breast cancer patients receiving chemotherapy by CE-MS coupled with on-line concentration. Clinical Biochemistry. 2013 Aug 1;46(12):1065-73. Menezes GL, van den Bosch MA, Postma EL, El Sharouni MA, Verkooijen HM, van Diest PJ, Pijnappel RM. Invasive ductolobular carcinoma of the breast: spectrum of mammographic, ultrasound and magnetic resonance imaging findings correlated with proportion of the lobular component. SpringerPlus. 2013 Dec;2(1):621-33. Nam H, Chung BC, Kim Y, Lee K, Lee D. Combining tissue transcriptomics and urine meta­bolomics for breast cancer biomarker identification. Bioinformatics. 2009 Sep 25;25(23):3151-7.